Reduce your cancer risk by cutting toxin exposure in your home and on your body. It might make you mad to know that you are a guinea pig for the effects of carcinogen exposure and its effects on the human body. You would be shocked to learn how many known – and suspected – carcinogens are you are using in your home and on your body! A five-year EPA study of over 600 households revealed that contaminant levels in the average home are up to 70 times higher than those found outdoors! The Environmental Working Group, a public interest research and advocacy organization, has revealed that more than one third of all personal care products contain at least one known carcinogen. The average woman is exposed to approximately 126 such chemicals on a daily basis. In combination, these products are even worse; some “penetration enhancing” skin care products, for example, allow harmful ingredients to be drawn further into the body. Penetration enhancers have been used to effectively deliver patch drugs deeper and faster through the skin and into the blood vessels. Although rarely added to cosmetics for the purpose of enhancing penetration, many ingredients used in cosmetics are found to have penetration-enhancing properties. The concern with penetration enhancers in cosmetics lies not in the toxicity of the enhancer itself but in the fact that the enhancers open the skin to greater absorption of carcinogens, toxins, and other harmful chemicals that the product may contain. My list of what I use. I make my own facial cleanser with honey, baking soda, lavender oil, rose oil, sweet almond oil, Vitamin C, salicylic acid, a few drops of Dr. Bonner’s hemp soap, xantham gum. It cleans, perfectly, doesn’t strip the skin of essential oils, replenishes with oils that are good for the skin, exfoliates beautifully. It’s for sale on my web page- Optimum Nutrition. I also make distill lavender flowers, roses and calendula flowers for toners that nourish the skin. I have also posted the recipe on my business web page- Optimum Nutrition – Recipe of the Week. EveryDay Minerals – Great powders, average packaging. GREAT prices!! And free samples, so you can try them. They let you order FIVE generous samples in different colors so you can find a match. I loved the three colors of powders, wasn’t so wild about the blushes, didn’t show hardly any color on the skin. Jane Iredale is pricey, but very clean and decadently elegant. I have a real problem with all the packaging and metal compacts and such…but ooohhh…I love her products. Her pressed powders are amazing. Lipsticks are clean and really stay put, but need gloss as they are very matte. Evans Garden– ineffective cleansers and chalky powders, but the GREATEST facial moisturizers in the world. So clean you could eat them. They couldn’t be any higher quality, moisturize perfectly and are very affordable. And the owners are sweeties! 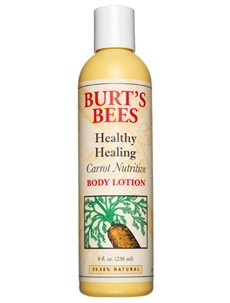 Burt’s Bees Carrot Moisturizer Lotion (the smell is a heavenly vanilla scent!). Neem Farms Neem Powder- for toothpaste is my favorite. It’s whitening and anti-bacterial. I also use the Neem Mouthwash. Dr. Hauschka has my favorite lipstick, lip pencil and eye liner. 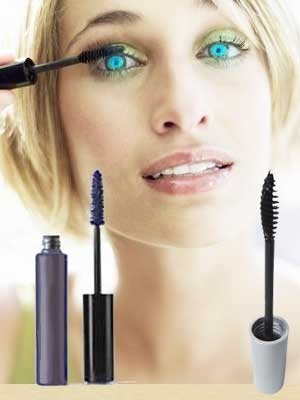 Physician’s Formula Organicwear for mascara- non-gooey, doesn’t clump, stays on and comes off easy. UVNaturals is the only sunscreen I have found that I am willing to put on my skin! I can even wear it under makeup. Recent medical research is indicating that certain sunscreen ingredients are in fact having a detrimental effect through cumulative use. Best exfolient and fade treatment in the world- my daughter Rachel, an esthetician, taught me this- make a paste from baking soda and fresh lemon juice, apply as mask, leave on 15 to 20 minutes, re-wet with lemon juice if it starts to dry out. It fades brown spots and works as well as glycolics to exfoliate! These ingredients can mimic oestrogen, create free radicals, or accelerate the production of free radicals in the body. The can also damage DNA within the cells. When you go read the label on most of the personal care products that you are probably using, you will find parabens and phthalates. These chemicals have been definitively linked to breast cancer.